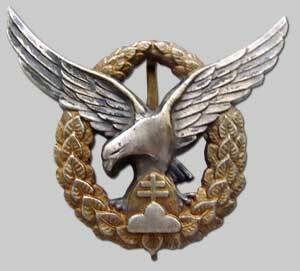 To date, we have not been able to locate a WWII example of a Slovakian Air Force Uniform. 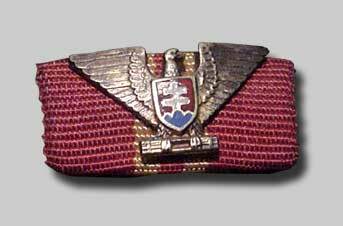 After Germany over ran Czechoslovakia, an independent state of Slovakia was declared and a Fascist government was formed in 1939 as an ally of Germany. 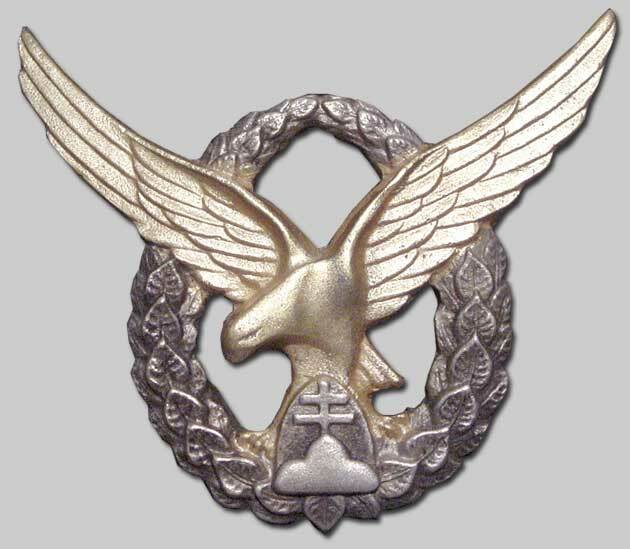 The Slovak Air Force was formed out of 300 obsolete aircraft. Since the force was heavily dependant on Germany, most uniforms were made up of early Czech Air Force uniforms and then Luftwaffe material. The Air Force was not made up of die-hard politcals, so many left to join ex-patriot forces in the West. 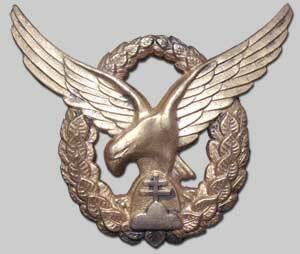 The Slovakian Air Force came to an end in the summer of 1944 when a popular uprising ended the totalitarian Slovak government. 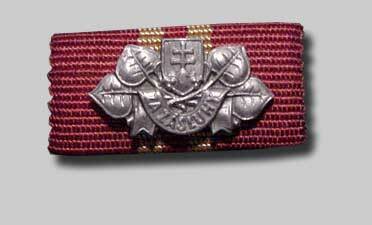 War Victory Cross, 7th class (out of 7).